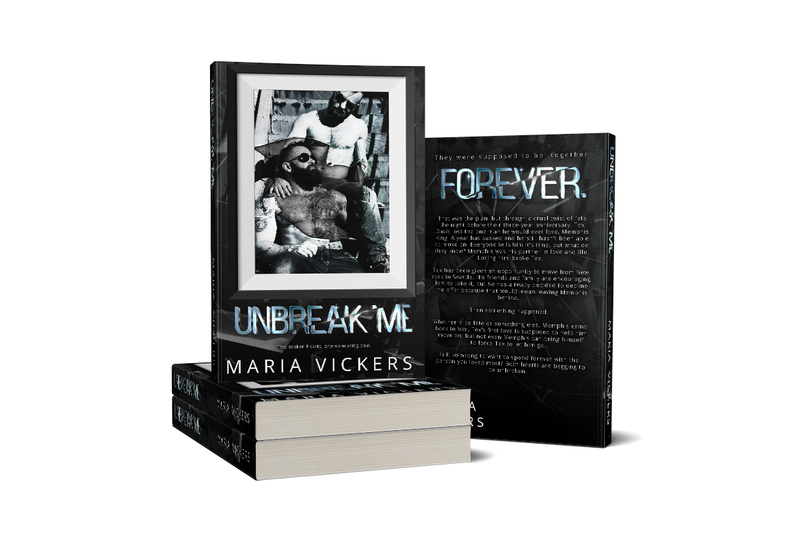 It’s hard to even come up with words to explain how much I loved and enjoyed Unbreak Me by Maria Vickers. Tex & Memphis’s story is a heartbreaking tale of love, loss and trying to regain life after losing your soulmate. I want to get into the storyline but then I don’t want to give away a single thing about the book because I loved the journey I was taken on. While reading this story all I could think about was how this story would translate to a play beautifully. 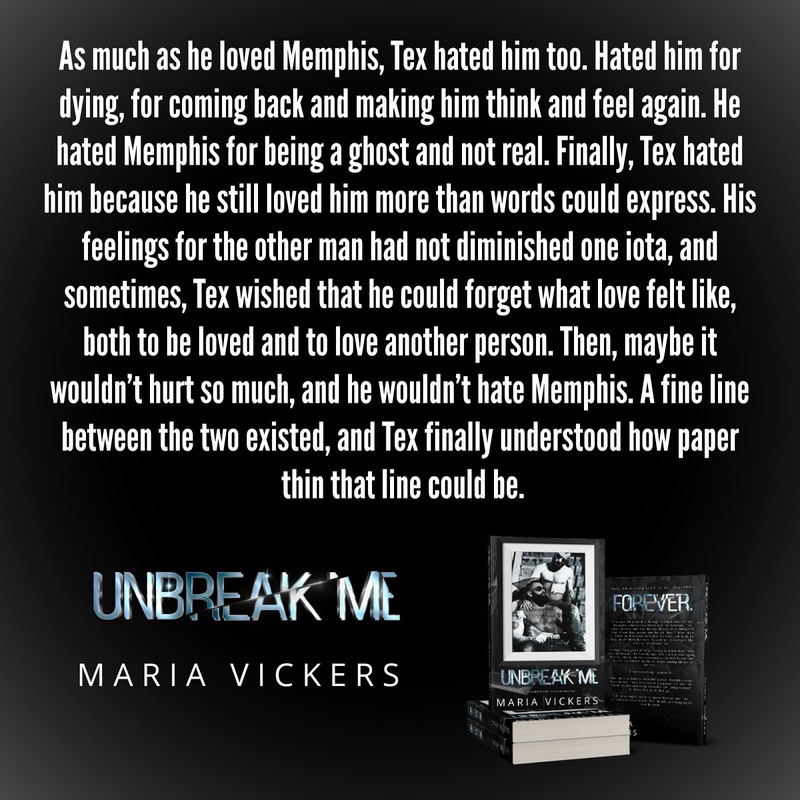 Unbreak Me is one of my Top Reads of 2019, grab it today and fall for Tex and Memphis like I did!